The long overdue Call for Evidence on the future policy framework for small and medium scale renewables has been published by BEIS. With all aspects of the Feed-In Tariff due to close next March, the solar industry & millions of potential investors urgently require clarity on the policy framework going forwards. The Call for Evidence has been published alongside the statutory FIT Review, which proposes an end to the existing treatment of surplus power from solar generators. 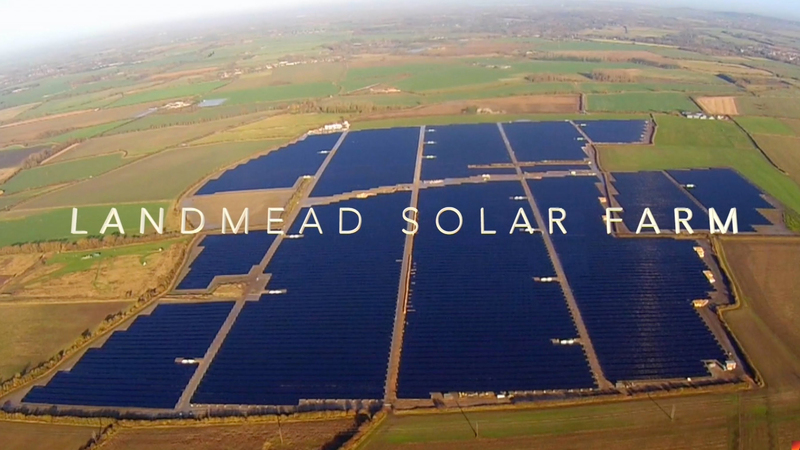 "Feed-In Tariffs have enabled around 800,000 households and 28,000 businesses to generate their own clean solar power to date, transforming the future of energy in the UK. Last week 10% of all UK electricity was generated by solar. This would simply not have happened without the Feed-in-Tariff. The good news, as we look beyond FITs, is that solar is coming of age and while solar always makes great environmental sense it now makes economic sense for most investors without public subsidies given fair treatment by government. An average domestic solar system cost Â£12,000 in 2010. It is more like Â£5,000 today. The bad news is that Government has been crystal clear today on what policy measures will stop "“ even very basic rights to fair export payments "“ but they are frighteningly vague on what comes next. There is real dismay that there is now a serious & needless policy gap between the end of FITs and the start of the new regime. We are therefore asking the Government to work with us and with the industry as a matter of urgency to fill that gap and ensure a smooth transition next March. - The removal of tax anomalies, which now present major distortions to the market for subsidy free solar. For domestic solar, the price of a substantial 4kW installation has fallen from around Â£12,000 in 2010 to around Â£5,000 today, with even lower prices where local authorities run bulk purchasing schemes. Solar will continue to make economic sense to households with high levels of self-consumption, which can also be maximised through the installation of battery storage. However, the STA is looking for new policies to boost the domestic market such as through Green Mortgages and the expansion of interest free loans, which are currently available in Scotland, across the UK. Further measures to boost solar on social housing will also be needed, such as through ECO3. Currently all installations that receive a Feed-in-Tariff have to be carried out by a company which is registered with the Microgeneration Certification Standard (MCS) in order to qualify for the subsidy. Such an important quality standard should be a mandatory requirement for all future installations, whether linked the FIT or not, as it gives consumers peace of mind about the expertise of the installer and valuable protection against mis-selling. The government must facilitate the continuation of these customer protections. The STA is keen to encourage the uptake of SMETS2 meters, but is concerned about current confusion on deeming for solar homes accepting smart meters. The Government has not yet officially consulted on, or made any public decision on deeming and smart metering, but changes made to supplier conditions have created unhelpful confusion in the industry. All existing solar owners should retain the option to deem their output, particularly while metering costs and the complexities surrounding the move to metering export still needs to be resolved. Furthermore, the 20% VAT currently levelled on battery storage for homes that already have solar must also be dropped to 5%. For I&C solar, the market has effectively operated without subsidy since 2016, however, the market was further damaged by the imposition of unexpected & sharp business rate rises on self-owned rooftop solar in April 2017. The STA has been asking the Treasury to except rooftop solar cells and panels from business rates to level the playing field with onsite gas, as well as to grant enhanced capital allowances to solar PV. Industry players believe these changes would bring on a significant amount of investment in this market. The installation of battery storage alongside solar PV has become common, along with EVs. Combined with smart meters & homes management systems, this "˜smart' approach means homes & offices will be able help balance local networks "“ particularly helpful for the power system as transport electrification is locally increasing demand. However, barriers on metering need to be resolved and markets for local flexibility have not yet developed in the UK meaning that smart homes & offices are not yet able to offer and monetise their services. Neither are innovative energy suppliers able to offer meaningful Time of Use Tariffs. This means there is a gap between the smart energy world we all want to get to and where we are today.